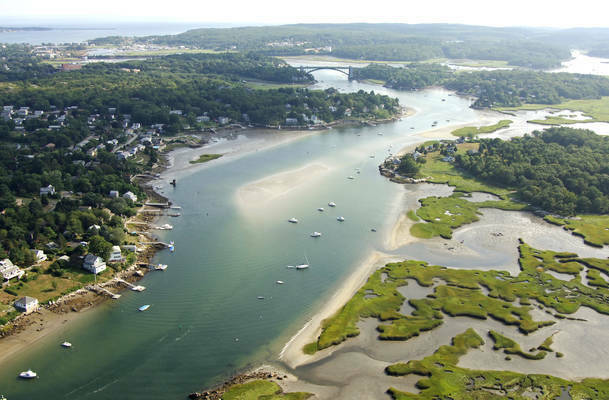 The Annisquam River is located on the west side of Cape Ann in Massachusetts about four miles southwest of Rockport and six miles southeast of Plum Island Sound. On the other side of the town of Annisquam (over the land to the right of the image above) is Lobster Cove, where transient boaters can tie up to moorings that are maintained by the Annisquam Yacht Club and the Lobster Cove Marina and Market. The Annisquam River travels south for three miles until it meets up with the man-made Blynman Canal, which eventually empties into Western Harbor near Gloucester. One fixed bridge and two opening bascule bridges cross this route. 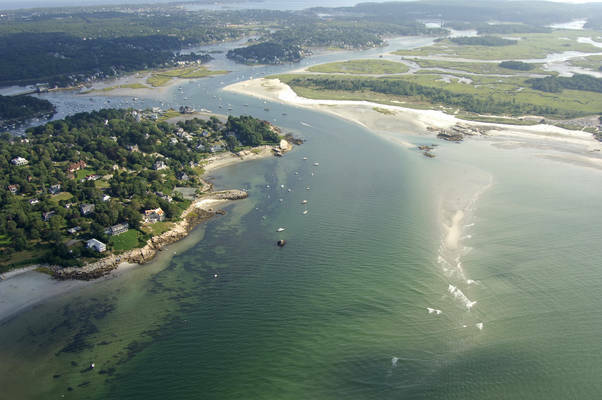 The image above is a view from the south looking north over the Annisquam River where it empties into the Atlantic Ocean. Off to the left, charted Barn Rocks can be seen, with the associated shoal working down the left (east) side of the channel. To the right (west) is Babson Point. Around the corner to the right (east - farthest point out) is the famous Annisquam Harbor Light. Also visible is the small and unfortunately open Annisquam anchorage. Most folks anchor upriver or in Lobster Cove (center right in the image above with many moored boats). Annisquam's downtown consists of nothing more than a restaurant and marina, a small hotel (The Brynmere), a Real Estate Company (Annisquam Villiage Realty), a library and the Annisquam Yacht Club. 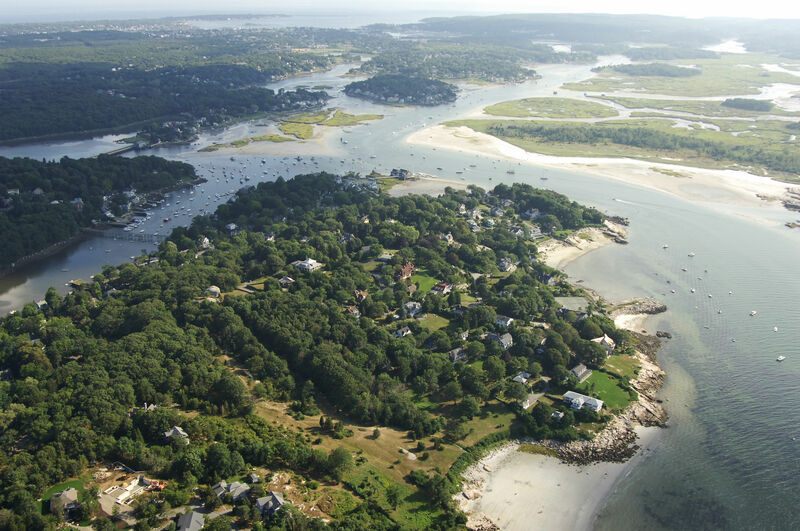 Because of its limited tourist appeal, few non-residents find a reason to come to Annisquam, effectively cutting it off from the outside world. Use NOAA Charts 13274 and 13279. 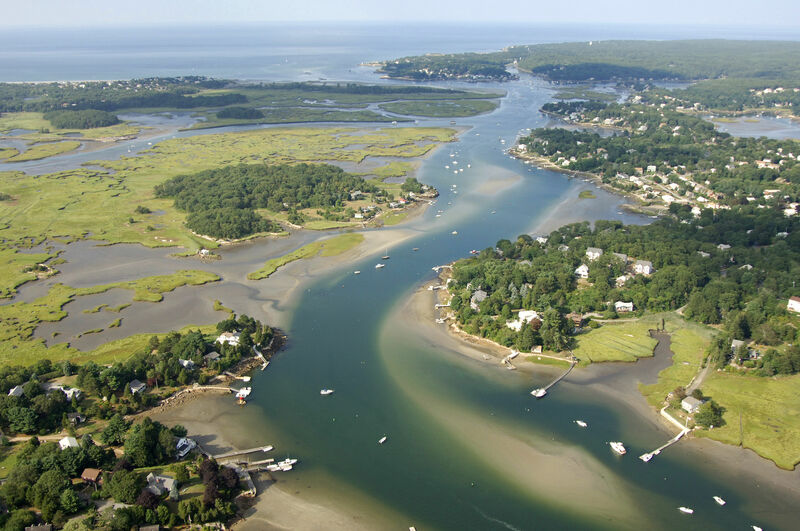 The Annisquam River is reached from the north via an approach from the Atlantic Ocean. To start your approach, first set a course to pick up red and white Morse (A) buoy AR, which is located at N42 40.38 W70 40.97. Additionally, the Annisquam Harbor Light (flashing white every 7.5 seconds, 45 feet above the water) can help you in toward the Morse (A) buoy. Once you have picked up red and white Morse (A) buoy AR, set a course to the south to intercept green can buoy 3 just east of Davis Neck. Next in line are red nun buoy 4, green can buoy 5, and then (very important) red nun buoy 6, which marks the long sandy shoal that lines the east side of the Annisquam River Channel (visible in the image above). From red nun buoy 6, you can continue south and follow green daybeacon 7, red nun buoy 8, green can buoy 9, and then green can buoy 11, where you can make the turn up into Lobster Cove to use the aforementioned moorings. No reviews yet! 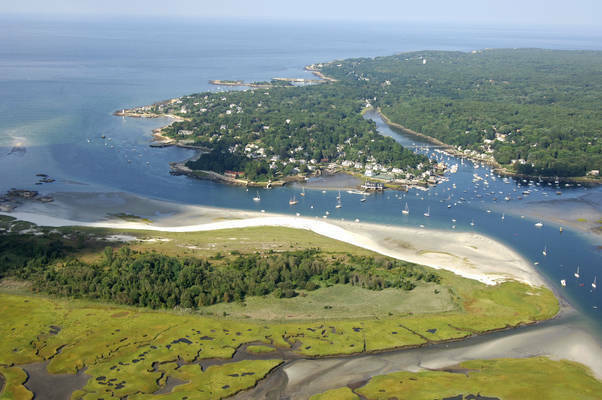 Be the first to write a review of Annisquam Harbor.